Antqiue Palais Royal Tortoiseshell Scent and Sewing Casket Box. 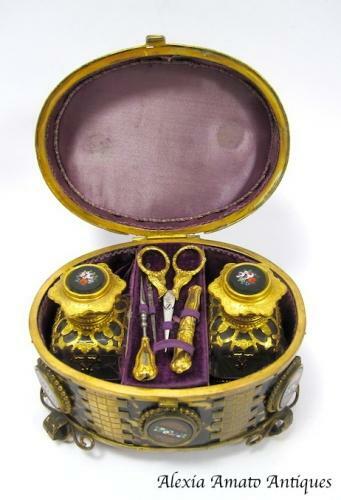 The Casket contains 2 Perfume Bottles with inside Stoppers and Micro Mosaic Flowers on the Lids (perfect). Very Rare and High Quality !